Pursuing a road map to ‘turn ideas into reality’ where innovations are transformed into state-of-the art, cutting-edge, high-ended telecommunication systems. Providing global technical fraternity total telecommunication solutions, value added quality service with fast turn-around time, optimal resources and dependable customer support. System Controls Technology Solutions Pvt. Ltd. be a professionally managed integrated One-stop Solution Provider, backed by an efficient and visionary technical leadership comprising of senior echelon technocrats and committed professionals. Offer myriad of high-end technology telecommunication products and services ranging from design, development, prototype, high volume production, installation, training, and supply of spares to after sales support. 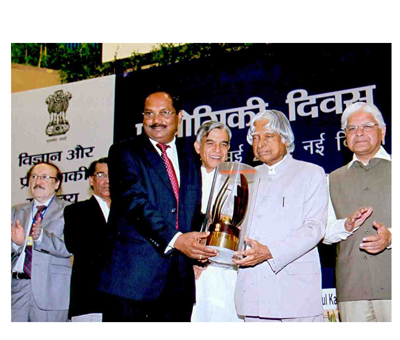 Imbibing technology expertise in the domains of telecommunication for core sectors. Gigabit Passive Optical Network (GPON) technology offers excellent triple play services (Voice, Data & Video) to the end Users. GPON has only passive components while active electronics are deployed only in the Main Central Office Exchange. At the Central Office the termination point is Optical Line Terminal (OLT) and at the customer premises it is Optical Network Terminal (ONT). 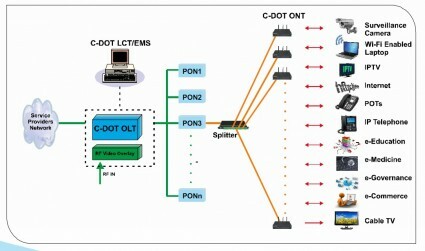 The link between OLT and ONT is a fiber link and passive splitters. The Optical fiber can be split to multiple Customer Premises Equipment (CPE). The GPON Technology delivers a downstream data rate of 2.5 Gbps and upstream data rate of 1.25 Gbps on a single fiber over a distance of 60 Kms. One PON port can support 128 ONT’s. The main goal of GPON technology is to migrate the existing Circuit Switched Network to Packet- switched Network by providing high bandwidth with triple play (Voice, Data & Video) services to the customers.